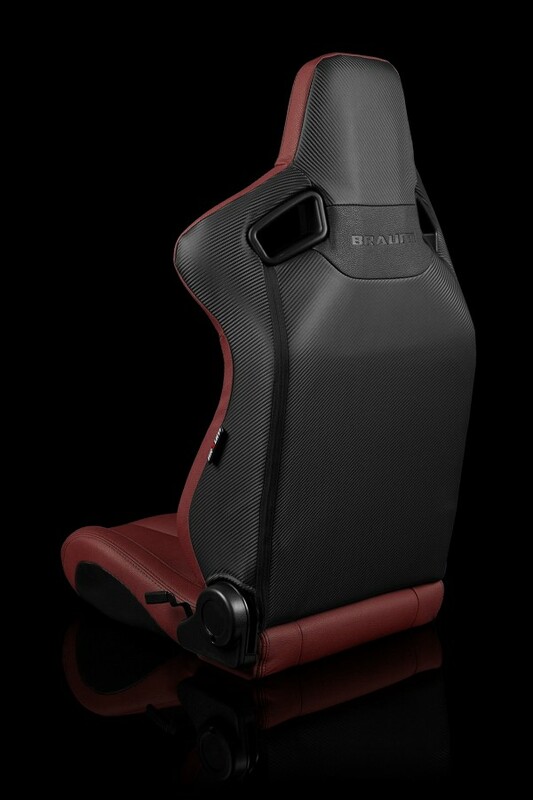 The Elite Series seats are wrapped in thick, high quality suede or leatherette in a sleek, aggressive, race-inspired shape. The result is an understated yet unmistakable silhouette that that is at the same time both understated and conspicuous. Spectators will be left scratching their head over their OEM look and aggressive aftermarket appeal. You and your passengers will be pleased to find a handle-type reclining mechanism for quick and easy, factory-like seat adjustments. Choose between eight total different color combinations for the perfect matching or contrasting interior. 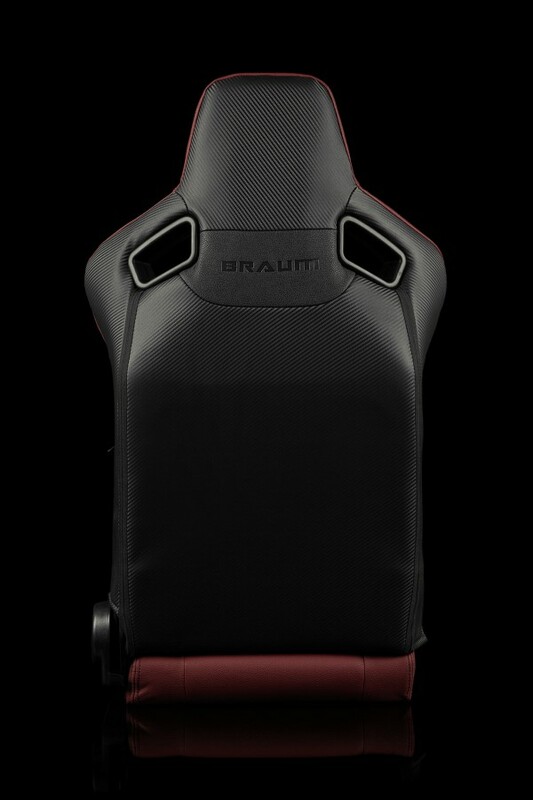 The Elite Series are exclusive, all-new reclinable racing seats from the up-and-coming innovator of racing equipment: BRAUM. These seats are perfect for those who want to improve the looks, comfort and stability of their seats without sacrificing practicality. They feature a strong, lightweight tubular frame and injection molded foam for the ultimate combination of comfort, performance, and durability. The bolsters are pronounced and strategically shaped without being intrusive, so you can stay locked in and enjoy your drive without dreading the discomfort of ingress and egress that a fixed bucket seat would impose. The firm, high density foam provides excellent support while its heat and pressure sensitivity allows the cushion to soften and comply with your body’s shape for a more customized fit. 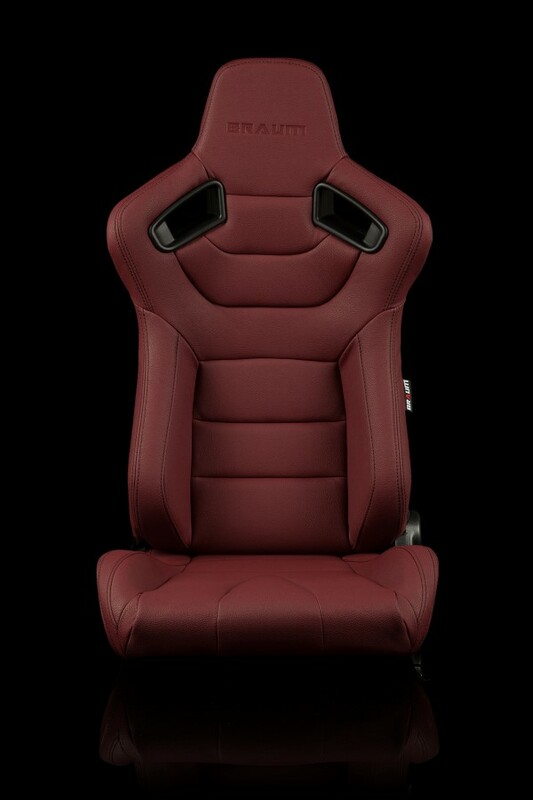 Q: Do you have the Maroon braum racing seats in stock ? 699 points will be rewarded to you when you buy this item.